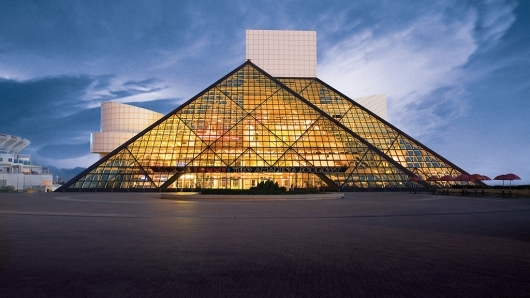 It’s that annual time again for either Cause Celebre or teeth-gritting derision depending on one’s taste, as the latest roster of inductees into Cleveland’s Rock and Roll Hall of Fame has been announced. And as par for its course, the list spans the semantics and even transcends it, of the rock and roll idiom. For 2015, the inductees include Joan Jett, Green Day, Lou Reed, and Ringo Starr, amongst others. The true backbeat to The Beatles, with his nasal-inflected voice, puckish charm, and one of the most underrated drummers of all time, Ringo Starr leads the pack of the Class of 2015 with the Award For Musical Excellence. Having drummed on the entire Beatles catalog (save for a few tracks where Paul McCartney took the drum seat) and sporting a solo career that was varied at best, but chock full of top ten and even number one hits during the early 1970s (“Photograph,” “You’re Sixteen,” “It Don’t Come Easy,” etc. ), Starr, who still feverishly tours and keeps active well into his 70s, rounds out the last of the solo Beatles to be inducted, and while some may cry default that he got in as a solo artist just because of his prior pedigree, there’s no way one Richard Starkey (his real name) could have been left out, standing near the cold harbor outside the hall. Favoritism seems to be the order of the day in terms of the Hall’s voting committee and their strangely stringent tenets of what garners inclusion to its walls of fame, Ringo Starr notwithstanding.